Geography Araku is located at 18.3333°N 82.8667°E. It has an average elevation of 911 metres (2,989 ft). 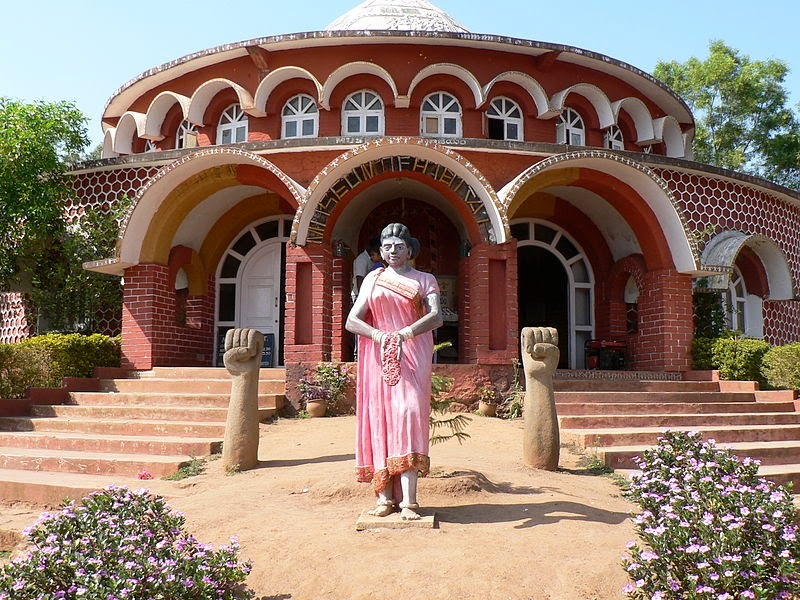 It is located 114 km from Vishakhapatnam, close to the Odisha state border. 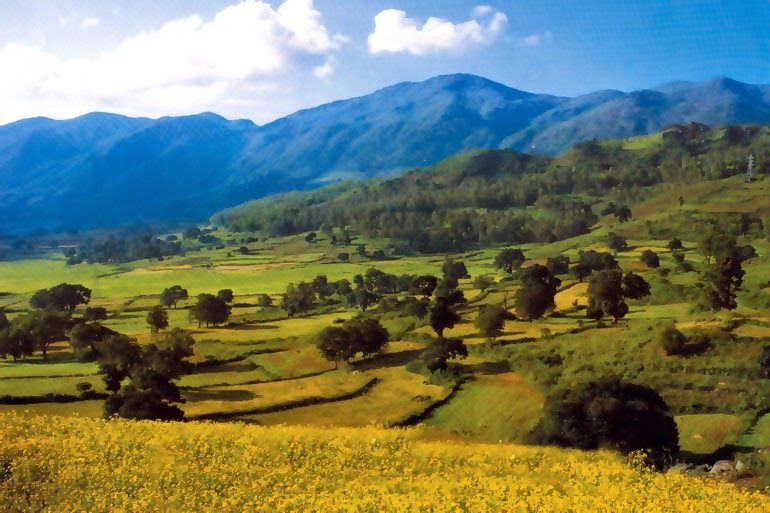 The Anantagiri and Sunkarimetta Reserved Forest which are part of Araku Valley, are rich in biodiversity. 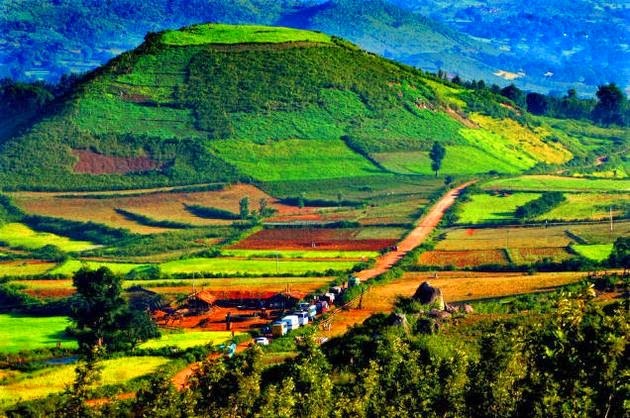 This valley is surrounded by mountains like Galikonda, Raktakonda, Sunkarimetta and Chitamogondi. Galikonda hill rising to a height of 5,000 feet (1,500 m) is one of the highest in Andhra Pradesh. The average rainfall is 1700 mm, bulk of which is received during June–October. Coffee Araku is popular for its famous coffee plantations. India’s first tribal growers’ organic coffee brand was launched in the Araku Valley in 2007. The premium organic "Araku Emerald" brand of coffee sells globally. Thousands of tribals in the Agency area are engaged in coffee cultivation as farm hands or small farmers. Transportation The valley is connected through both rail and road to the city of Vishakapatnam. There are two railway stations at Araku and Araku Valley on the Kothavalasa-Kirandul railway line of Visakhapatnam division of the East Coast Railway, on the Indian Railways network. Shimiliguda railway station is located at an altitude of 996 meters above mean sea level. Araku is a place to relax and enjoy nature. There are few tourist spots in Araku and they can be visited in two hours time. If you have time you can go ahead upto 15 KM to Chaparai to see the water passing over rocky slopes. 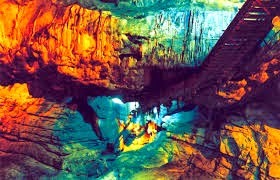 If you are at Araku then you must see Borra caves. One of the main attraction is tree top cottages located in the middle of green surroundings of Araku valley. These tree huts ( hanging cottages ) are ten feet above the ground level and one can experience rare swing along with trees. Huts are attached with toilet and continuous water supply. There is a toy train in the Padmapuram garden for the tourists. At the Araku town behind APRTC bus stand there is a coffee House. Here you will get all variety of Coffee. This is more of a museum of coffee plantation and production of India and world. There is a light and sound show on coffee plantation for 15 minutes with an entry fee of Rs 25. Inside you will get history of coffee plantation in Africa, Europe and India. You can buy chocolates, cakes and different of coffee related products under one roof. There is one more picnic spot called Dumbriguda Waterfalls ( Chaaparai ). This spot is only 15 Kms from Araku. This nature camp located at a distance of 75 Km from Vizag ( on the way to Araku valley ) is right place for bird watching, rock climbing, trekking and over night stay. You can travel for 45 minutes on Jeypore road to reach Padwa. This area is famous for Lake and natural beauty. You can further travel to Duduma waterfall. Katiki waterfall near Bora cavesBefore one KM from Borra caves at Gatevalsa you will be stopped by Jeep drivers offering you a trip to Katiki water fall. This water fall is nearly 7 KM from this point. You need to change your vehicle as rugged Jeep is required to cover the narrow muddy road passing through Jungle and by the side of Gosthani river. Jeep will take you upto the railway track nearly 6 KM from Gatevalsa point and from here you have to trek half KM and climb up after crossing the railway track. Your Jeep driver will tell you to return within one and half hour from the dropping point. The last 15 minutes of the trek upto the base of the waterfall is stiff climbing. Steps are there upto the water fall for safe climbing. You can take bath at the base of the waterfall. On your trekking rout to water fall there will be temporary shops setup by the local tribes selling biscuits and most important is Bamboo chicken. Marinated chicken is backed by keeping them inside Bamboo trunks and offered to tourist. It is Chicken Kabab but prepared by using bamboo sticks and cooking is done by keeping them inside Bamboo tree trunks. Locally collected Honey is also available in bottles in these shops. Both way share Jeep trip cost is Rs 100 / - per head. The price may go up to Rs 120/- in busy seasons. Usually Jeep will take nearly 10 persons on share basis. If you are group of five or more, then one full Jeep you can use and bargain for Rs 550 or Rs 600 for the full trip. Bamboo Chicken near Katiki waterfall Never try to venture with your luxury car in this Jungle road as there are ditches and big boulders on the road. This trip to Ketiki water fall from the Jeep Point at Gatevalsa and return will take minimum 2 hours. This water fall is not a big one in height and this is not big stream of water. The water fall may go dry in summer months. So if you have enough time and ready to take last half KM trek ( with 15 minutes climbing ) then visit this waterfall. While coming from Visakhapatnam by train , before Borra cave railway station this water fall will be at your left side and is visible before entering a tunnel. If you have enough time and energy then visit this waterfall, otherwise go straight to Borra caves. From NAD Junction ( on NH 5 at Vizag ) Borra caves Junction is 61 KM. Take right turn as the straight road will take you to Araku valley. From this Borra Caves Junction on Araku road ( Name of the place is Muliyaguda at 2691 feet above MSL) Borra caves is 10 KM and before one KM from the cave at GateValsa the left side road will take you to Ketaki water fall. Borra Caves are located at a distance of 92 Km north of Visakhapatnam. The caves open with 100 meter on horizontal plane and aobut 75 meters on vertical plane. These caves spread over an area of one square KM and the origin of river Gosthani which flows through the district. This you must see if you are in Araku Valley or in Visakhaptanam. This location is at a height of 800 to 1300 meters from MSL. William King the British geologist discovered this million years old cave in the year 1807. The humic acid in the water reacts with calcium carbonate in the limestone and dissolves the minerals breaking the rock gradually. The perennial water flow over a period of time results in the formation of caves. Stalagmites are formed due water percolating from the roof containing calcium bi carbonate and other minerals from mounds. Same way stalactites are also formed and because of their different shapes tourist and locals have given different names to them. 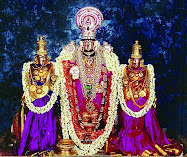 One can see different formations of the stalactites and stalagmites as Shiv-Paravathi, Mother-Child, Rushi's Beard, Human Brain, Crocodile, Tiger and Cows udder. On your journey to Araku by train you can see picturesque Landscape with greenery, peaks and valleys. Before reaching Borra Guhalu Railway station the train passes through 42 tunnels.